1. LavishnessThe lavish trend for which we source exceptional materials such as marble, velvet and gold - or even combine them sometimes - all manifest themselves in Figura in different ways. 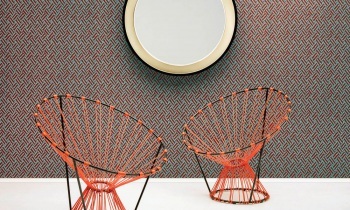 Take for example the monocoloured Puro with a subtle lustred finish, or the circled Arcus pattern that was given a unique touch using lacquer. Forma too slots nicely into this trend, with its gold/black and white/silver combinations. 2. 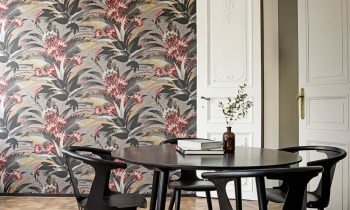 ExoticaThe woven grass structure of Puro, Decorata, Modulo and Modum bring the tropics to mind. 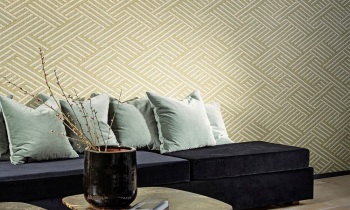 The somewhat rougher base lends each pattern a natural touch. 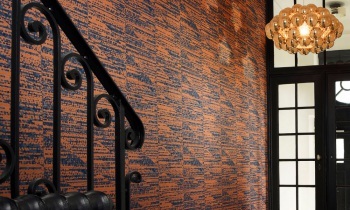 To make your home even more exotic, the best option to go for is our sumptuous Decorata pattern. 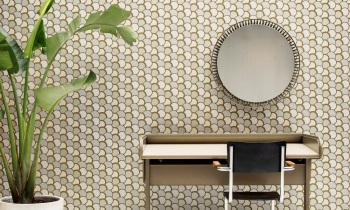 With this pattern you also add an immediate dash of art deco to your home! 3. Vintage vibesGraphic, geometric and floral prints were very popular during the 60s and 70s. 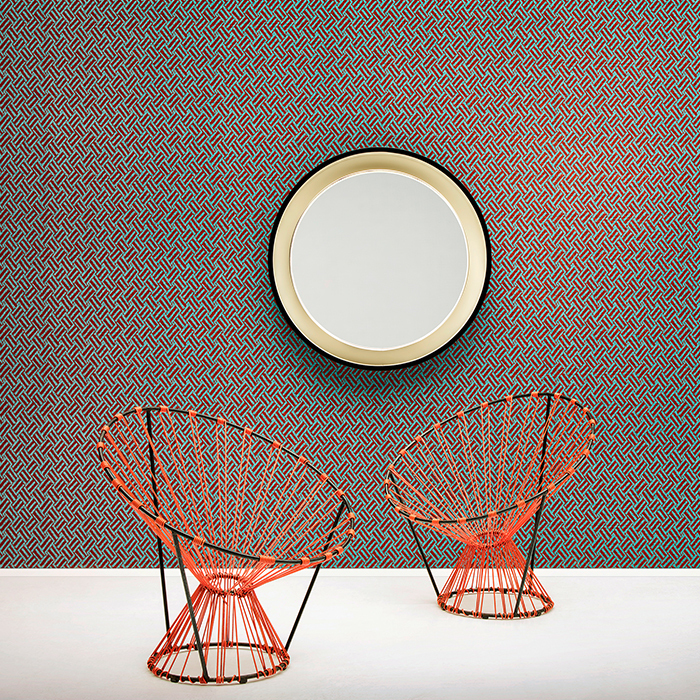 These vibrant, creative patterns have now been incorporated into Figura. The geometric pattern of Modulo and Modum, the fun spherical pattern of Arcus, and the subtle transition in Forma all refer, in their own right, to that unique period in time. 4. DesertMoreover, the collection also strongly reflects the on-trend colours of today. 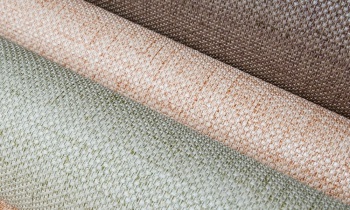 Soft desert hues stake their claim within our interiors, resonating throughout the collection. Think for example orange, beige hues and grey tints.